Electronic bank statements, or eStatements, offer you convenient access to your account information 24 hours a day, 7 days a week. Not only is the enrollment process quick and simple, but it’s also FREE! Already enrolled? Click Login below. Do you already have Online Banking, but you’re not yet using eStatements? Enrolling in eStatements within Online Banking is easy! To enroll today, log in to your Online Banking profile by clicking the green ONLINE BANKING button at the top right corner of this page. Once logged in, click on any of your accounts, then “Online statements” and follow the on-screen instructions. 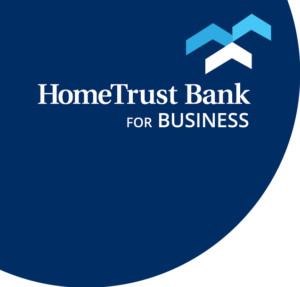 You can receive your HomeTrust Bank loan statements electronically as well. Simply follow the same enrollment steps for deposit accounts and you’re set! Click on the Login button at the top of this page, then click “Account Holder Enrollment” to start receiving your statements electronically. Receive e-mail notification when your eStatement is ready to view. Reduce your risk of mail fraud and identity theft. No more paper statements in your mail box! Eliminate clutter around the house. Save all your eStatements in one convenient place online. Print eStatements when you need a paper copy. Share your eStatements (with your accountant or anyone else you choose). If you have questions or need support for any of our other Online Banking services, please contact our Customer Care Center. You can also call toll free at 800.627.1632 anytime Monday through Friday, 8:00 a.m. to 7:00 p.m. and Saturday, from 9:00 a.m. until 3:00 p.m.